Last month, it was officially confirmed by both SIE Japan Studio and Project Siren that Gravity Rush 2 servers will be shutting down in July (yep, this month). Originally, the servers were meant to shut down in January, although a fan campaign spearheaded by this hashtag managed to postpone this. Despite this massive effort made by fans, the servers will be shutting down. Also, you might want to know why players are so upset by this. Well, primarily because shutting down the game’s servers means challenges, photos, rewards, and other content just disappearing forever. In addition, leaderboards will no longer function and racing against the ghosts of other players will no longer be possible. Players won’t be able to receive or post Treasure Hunts. They won’t be able to send and see photos. Just in case you didn’t know, Gravity Rush 2 is a rather unique take on open-world platformers. Instead of jumping players have the opportunity to change the direction of gravity. This creates some amazing gameplay moments each time you play. 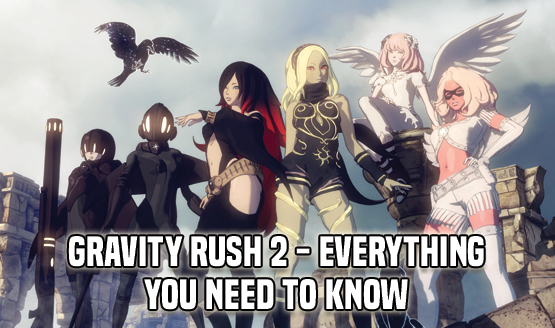 The game was released back in January 2017, and now we know that the sun will set on altering gravity in Gravity Rush 2 starting on July 18 – which is next week. We were really impressed when we first played Gravity Rush 2, even though the game was not perfect. Keri said that it was “difficult to not have fun this adventure.” And: “If Gravity Rush was always a game you meant to get into, there’s no better place to start than Gravity Rush 2.” Read our full review here. Gravity Rush Central is offering a chart with an ever-rising number of players who are voting against the servers shutting down. If you wish to join the fight, you can go ahead and spread the word via the #DontForgetGravityRush hashtag. So, how do you guys feel about the servers shutting down?